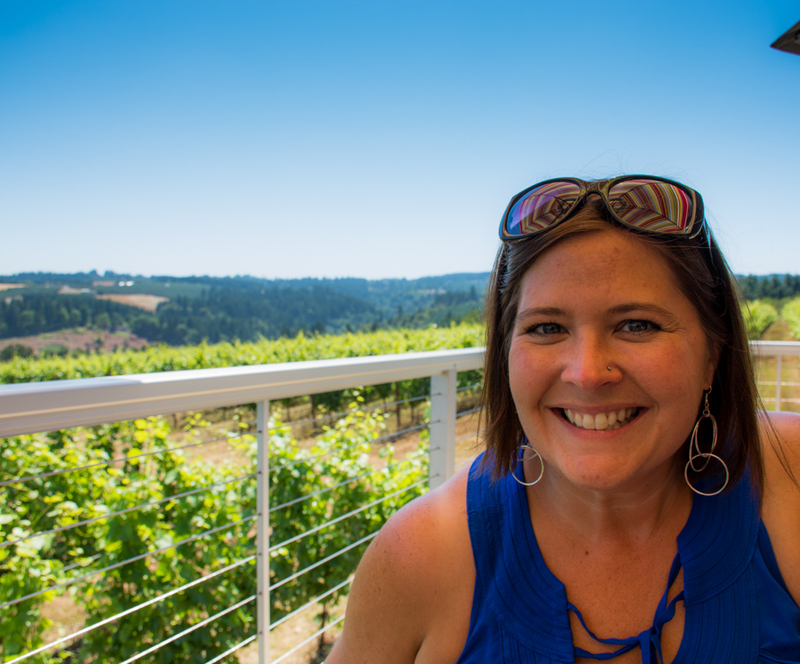 Summer in Oregon’s Wine Country! I must tell you, I LOVE our wine country and all the seasons! It’s gorgeous, colorful, vibrant….. and still close to the city. I grew up in the city and never in a million years thought I would find myself living out here in wine country. I moved out here 17 years ago and love every minute of it! My commute to work is 25 miles, takes about 30 minutes, and has barely any traffic to deal with…only the occasional tractor during harvest season. It’s also a very beautiful drive, winding country roads past vineyards and farms and the occasional fox in the field can be spotted. 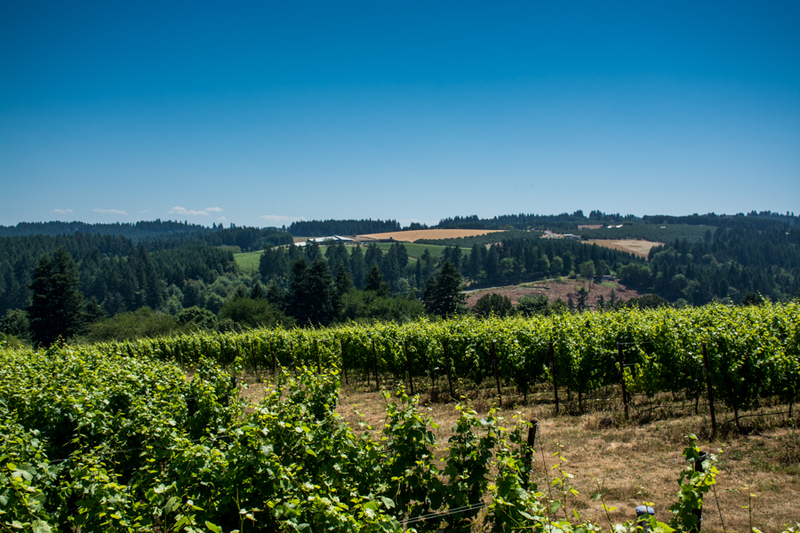 In the summer though, our little part of beautiful wine country really comes to life! I can spot a tourist from a mile away. And the limos….the limos can be seen driving through our town in mass numbers every Friday, Saturday, and Sunday! 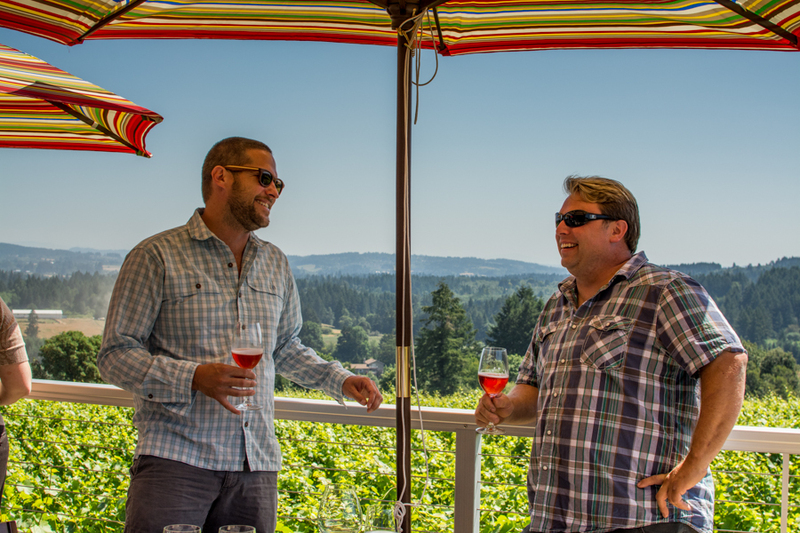 It’s summer in Oregon’s wine country! 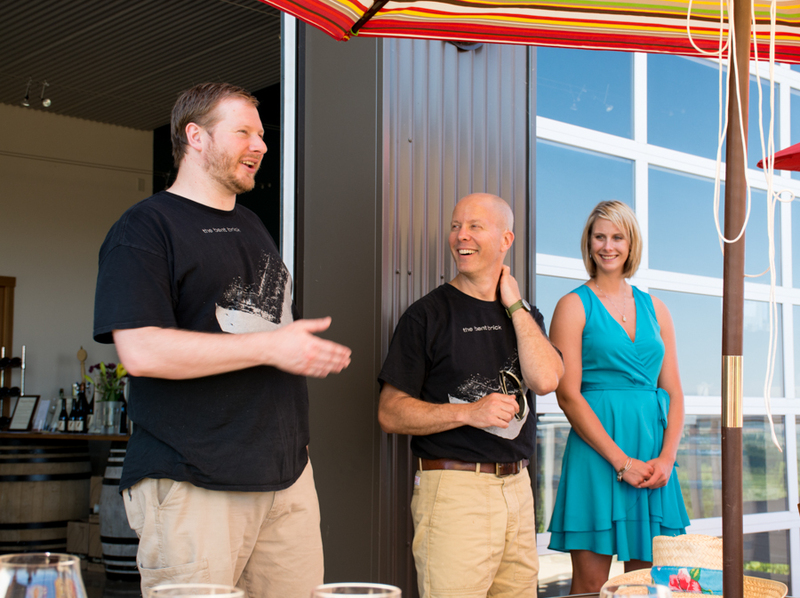 There is so much more to do out here than just hop from one winery to another tasting wines…. 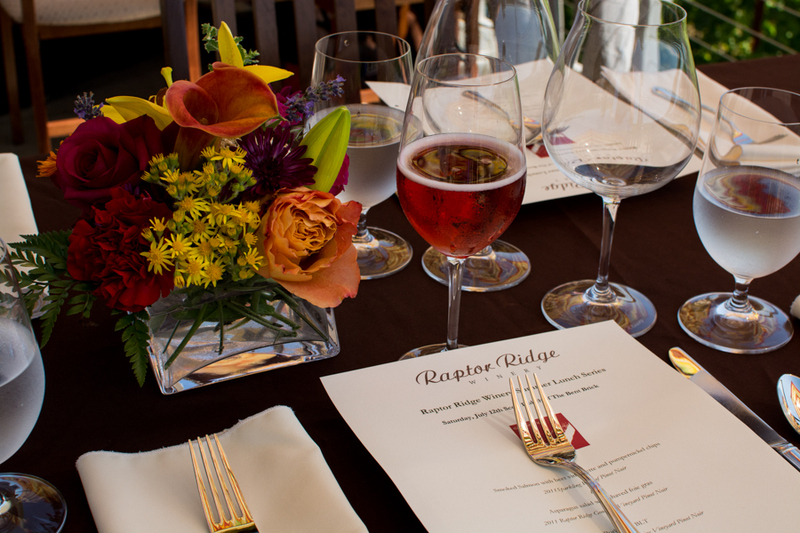 I recently attended not one, but two Summer Lunch series at Raptor Ridge Vineyard. Oh let me tell you about how much fun these events are! Raptor Ridge sits up on the top of Chehalem Mountain tucked away with beautiful views of the valley. It’s a short 15 minute drive over the mountain from Newberg. Their tasting room has these tall ceilings with giant doors that roll up to let the outside in. They also have a nice balcony that overlooks all the vineyards. In the summer on Saturday’s, they have a lunch series that includes a 3 course lunch paired with fabulous wines. 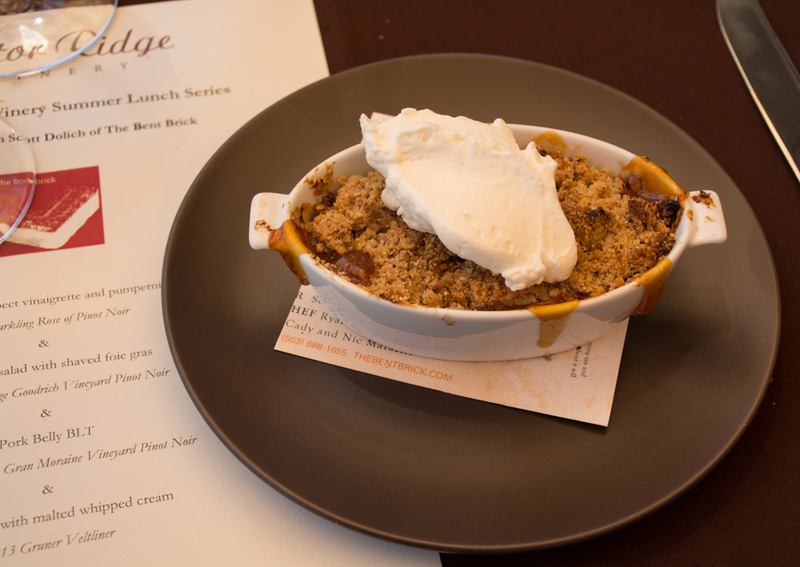 The chefs come from Portland, and locally to bring a fresh tasty summer lunch that is cooked right at the winery. Served family style, you get to meet new people and chit chat over great food and wine. It’s a fabulous event and really is for anybody! My first lunch I attended, I sat a table with 4 other woman that were staying at The Allison in Newberg for their girlfriends bachelorette party weekend. They were headed out for more wine tasting after the lunch. The second time I went, I met 4 more girls, this time celebrating a birthday! They came in from the city to spend the day in wine country! The lunches are maxed out to 20 people, so make your reservations fast. Lunch usually lasts about 2-3 hours…lots of food, wine and great company! 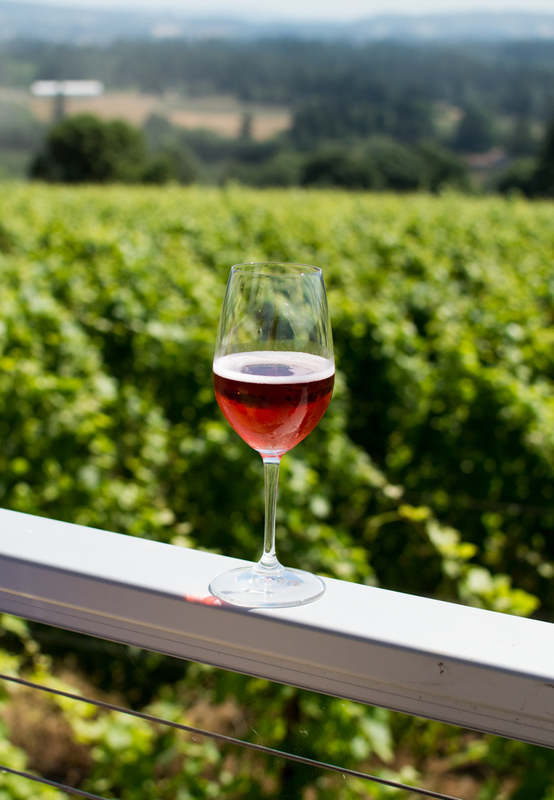 What a great way to spend your Saturday afternoon in Oregon’s wine country! 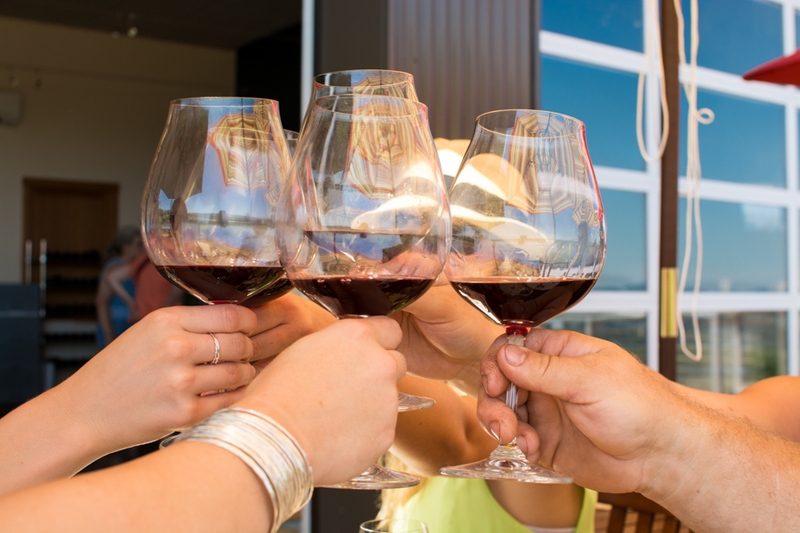 Cheers to long warm summers with great food and wine! 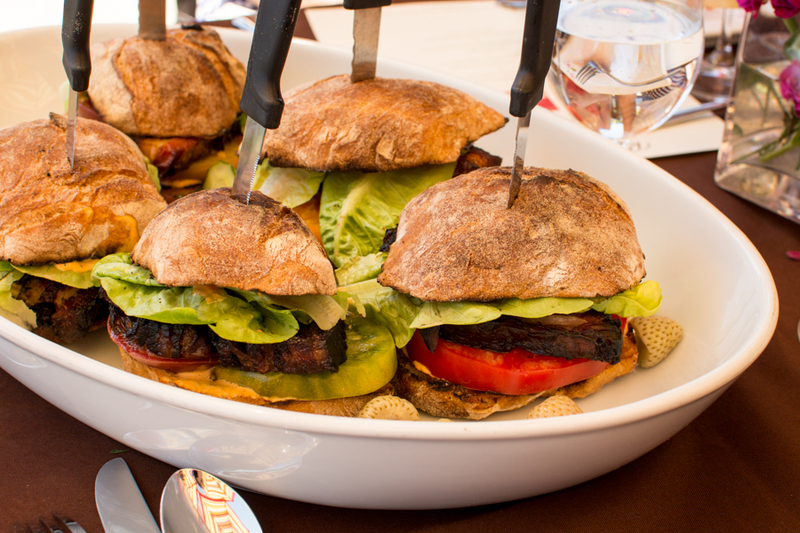 The most amazing pork belly BLT I’ve ever tasted, by Scott Dolich, chef at The Bent Brick. Those burgers look delicious! I’ve lived in Oregon all my life and never made it out to the wine country. Definitely need to take a road trip. I’ve never even HEARD of Raptor Ridge. Then again, I haven’t been to the Dundee area in years…for wine or anything else. Sounds like the loveliest of times. What’s not to love! Gorgeous, delicious, and good times. I love reading what you have to say.